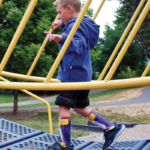 Half of those diagnosed with cerebral palsy have been prescribed standard AFOs to aid in walking, according to United Cerebral Palsy and the CDC. J.M. is a chatty little 8-year-old girl with long brown hair. 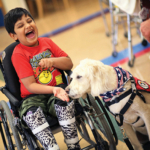 She has hemiplegic cerebral palsy (CP) and has been treated at Shriners Hospital for Children—Chicago since 2013. She has a foot drop, knee hyperextension, and decreased hip motion. 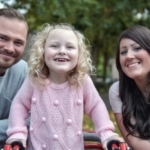 Her condition used to require botulinum-A toxin (Botox) injections every three to six months. Her ankle foot orthosis (AFO) gave her sores. But last year, she received a tuned AFO—carefully adjusted for optimum alignment in combination with footwear—while under the care of senior physical therapist Nancy Scullion PT MPT PCS, who has been treating children with CP at the Rehabilitation and Motion Analysis Laboratory of Shriners Hospitals for Children—Chicago for two decades. J.M. wears her tuned brace daily. Her knee and hip range of motion, plus her ground reaction forces, have normalized. She has gained a normalized gait pattern, no longer has sores, and doesn’t need Botox. Because of the heterogeneous nature of CP, it became apparent to Scullion that standard AFOs aren’t always the answer. Scullion has had success with treating hemiplegic CP patients like J.M. ; she uses instrumented gait analysis to document the effects of tuning-based treatment in these children, using the tuned orthotic device on one side and nothing on the other side. “They’re almost like their own control,” she said. She has been able to show normalized range of motion at the knee and the hip, as well normalized joint forces and muscle lengths, while wearing the tuned brace. “If you compare their right and their left side, except for the foot and ankle, which are rigidized inside the brace, they’re essentially normalized,” she said. The overarching condition of CP includes spastic, which is characterized by muscle stiffness and permanent contractures; athetoid, which has uncontrolled, slow, writhing movements; and ataxic, marked by poor coordination and balance.1 Additionally, within each type, there are differences involving motor function (GMFCS – gross motor function classification system level). Levels range from I-V, with disability increasing at each level, spasticity, and specific neuromuscular issues. For example, crouch gait (limited knee extension), ankle equinus (limited dorsiflexion), or hallux valgus can be at play. Then there are basic demographic differences, like age, height, weight, and gender. These variations can make it difficult to study the effectiveness of AFOs and other orthotic devices in children with CP. 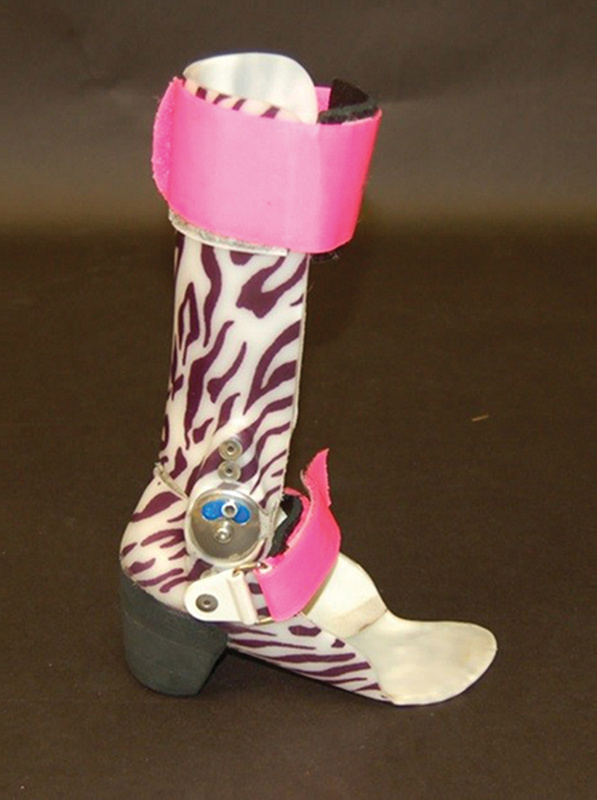 Typically, study results on orthotic interventions are presented as averages for the study population. The problem with that approach in a heterogeneous group is that even if there is no significant average effect of the intervention, there still may be some patients who respond positively. Conversely, even if a study finds a benefit for the group overall, there may still be some kids who don’t respond well. For example, Bradford C. Bennett PhD, a lecturer in the Department of Kinesiology at San Francisco State University in California, analyzed the effects AFOs have on the energy recovery and mechanical work done by children with CP while they walk. 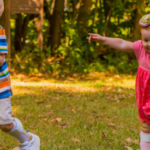 The study included a convenience sample of 21 children who wore bilateral AFOs custom-made by the Prosthetics and Orthotics Department at the University of Virginia (UVA) in Charlottesville. All tests were conducted in UVA’s Motion Analysis and Motor Performance Laboratory. However, a more detailed look showed that for eight participants, the use of AFOs resulted in reduced work to walk (up to 45% less); for six participants there was no difference in the amount of work done (within 10% of each other) with or without AFOs; and for seven of the participants, walking with their AFOs required more work (up to 35%) to walk. “It is quite clear that cookie-cutter solutions do not work for these patients, and treatments need to be adapted to the individual,” said Bennett. There has been an observed standardized treatment of CP patients, such as typically prescribing a hinged AFO. 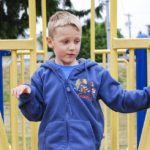 But Cary H. Mielke MD, chief of staff at Shriners Hospital for Children—Twin Cities in Minnesota, pointed out how doing so can have negative effects in children with crouch gait. 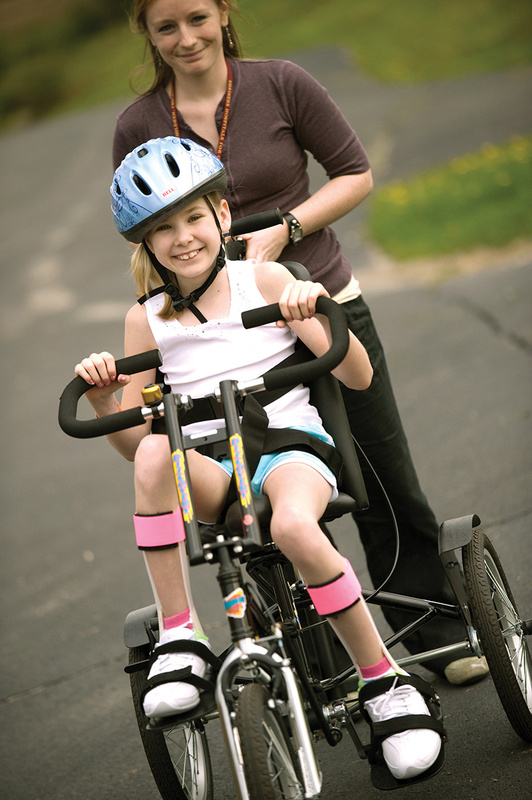 Practitioners at Shriners have adopted the mindset that children with CP may benefit from a more individualized orthotic management of their condition rather than a one-device-fits-all approach. Mielke said a wide variety of AFOs can be used for CP. For a high-tone child, like one who has experienced a near drowning, Mielke said he would likely use a solid AFO to block tone. But, for a fairly functional hemiplegic child with a slight drop foot, he would order a flexible leaf spring AFO. And for a hypotonic, ligament-lax, developmentally delayed child, he would go with a supramalleolar orthosis (SMO). Mielke emphasized that he isn’t making a treatment plan unilaterally. 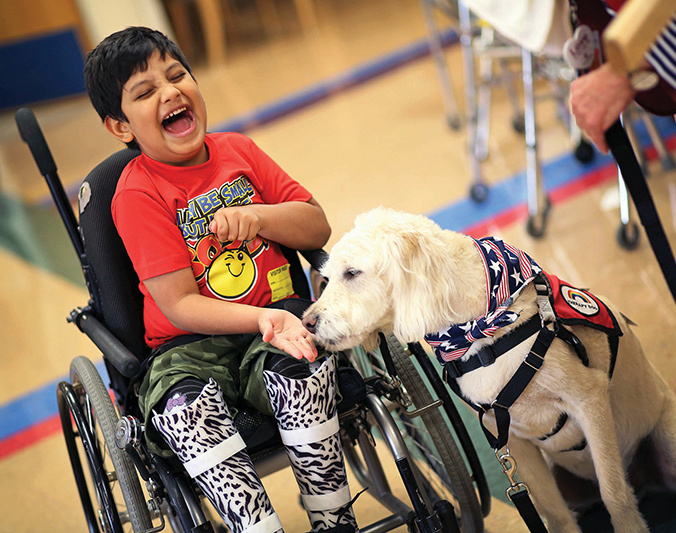 Shriners practitioners take a multidisciplinary approach. The team coordinating care with the patient’s family may include the orthopedist, an orthotist, and a physical therapist. “We find a team effort, along with guidance from the family, is the best way to go,” he said. Variability in treatments, however, is not always available to CP patients. Scullion explained that any physician, including a primary care physician or a pediatrician, can prescribe an AFO. It doesn’t have to be a physician who specializes in CP, pediatric orthopedics, or pediatric neurological disorders, or who is familiar with gait analysis or the gait deviations associated with CP. Sometimes the result is a lack of individualized treatment. Scullion said she has observed this in rural areas, where access to an orthotist, physical therapist, or other lower extremity specialist may be limited. “At Shriners, we’re looking at the patient individually and having a discussion about what type of bracing would serve the patient best,” Scullion said. The long-held paradigm for orthotic prescriptions called for the ankle of the AFO to be at 0° of dorsiflexion. The ankle joint was vertical to the plantar surface of the foot, while the foot was at a 90° angle to the calf. The ankle portion of the device would either be solid—like a ski boot—or articulated/hinged to allow motion at the ankle, but still forcing the foot into a 90° angle regardless of the patient’s dorsiflexion availability. Owen introduced the concept of tuning – i.e., aligning an AFO in combination with a patient’s footwear, positioning the ankle in the orthotic device, and modifying the footwear to optimize the patient’s gait pattern. The tuned orthotic device meant the ankle wouldn’t have to be forced into 90°, an angle that can cause the calf to spasm when the knee is straightened. With the tuned orthoses, the foot is angled downward, mimicking the child’s natural dorsiflexed position. Practitioners can add heel lifts to the brace or the shoe. Scullion started experimenting with this concept around 2014. She initially faced resistance, even at Shriners, because, as she said, “The recipe said to give the patient an orthosis set at zero degrees.” But Scullion has successfully brought most of the doctors she works with on board. Another beneficiary of the tuned-AFO approach is A.B. He is a 13-year-old, bespectacled, fair-haired boy who loves sports. He has bilateral diplegic CP, and his old AFOs caused his skin to break down. His calf and ankle musculature were weak, causing his feet to deform within the brace. Now, A.B. wears his braces all day. He can ride his bike to and from school. He goes up and down the stairs at school by himself. He is independent at school. His alignment is improved when he is standing and walking. Scullion said another way Shriners has been successful in enticing CP patients to continue wearing AFOs as teenagers, in addition to the individualized approach, has been moving them to a carbon-fiber or lighter-weight hybrid material. The Center for Gait and Motion Analysis in St. Paul has been investigating AFO performance in three areas, Ries said. He noted that while his group’s retrospective results seem promising, they still need to be validated in a prospective manner. Cerebral Palsy. Centers for Disease Control and Prevention web site. Published May 2010. Accessed May 11, 2017. The effects of ankle foot orthoses on energy recovery and work during gait in children with cerebral palsy, Bennett BC, Russell SD, Abel MF. Clin Biomech (Bristol, Avon). 2012 Mar;27(3):287-91. doi: 10.1016/j.clinbiomech.2011.09.005. Epub 2011 Oct 20. Gastrocnemius operating length with ankle foot orthoses in cerebral palsy, Choi H, Wren TAL, Steele KM. Prosthet Orthot Int. 2017 Jun;41(3):274-285. doi: 10.1177/0309364616665731. Epub 2016 Sep 9. 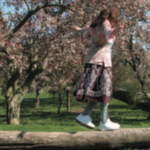 The Effect of Ankle-Foot Orthoses on Community-Based Walking in Cerebral Palsy: A Clinical Pilot Study, Bjornson K, Zhou C, Fatone S, Orendurff M, Stevenson R, Rashid S. Pediatr Phys Ther. 2016 Summer;28(2):179-86. doi: 10.1097/PEP.0000000000000242. An individual approach for optimizing ankle-foot orthoses to improve mobility in children with spastic cerebral palsy walking with excessive knee flexion, Kerkum YL, Harlaar J, Buizer AI, van den Noort JC, Becher JG, Brehm MA. Gait Posture. 2016 May;46:104-11. doi: 10.1016/j.gaitpost.2016.03.001. Epub 2016 Mar 9. The importance of being earnest about shank and thigh kinematics especially when using ankle-foot orthoses, Owen E. Prosthet Orthot Int. 2010 Sep;34(3):254-69. doi: 10.3109/03093646.2010.485597. The Efficacy of Ankle-Foot Orthoses on Improving the Gait of Children With Diplegic Cerebral Palsy: A Multiple Outcome Analysis, Ries AJ, Novacheck TF, Schwartz MH. PM R. 2015 Sep;7(9):922-9. doi: 10.1016/j.pmrj.2015.03.005. Epub 2015 Mar 11. Precision orthotics: optimising ankle foot orthoses to improve gait in patients with neuromuscular diseases; protocol of the PROOF-AFO study, a prospective intervention study, Waterval NF, Nollet F, Harlaar J, Brehm MA. BMJ Open. 2017 Feb 28;7(2):e013342. doi: 10.1136/bmjopen-2016-013342. A candidate core set of outcome measures based on the International Classification of Functioning, Disability and Health for clinical studies on lower limb orthoses, Brehm M, Bus SA, Harlaar J, Nollet F. Prosthet Orthot Int. 2011 Sep;35(3):269-77. doi: 10.1177/0309364611413496.